Here's what happens when you delay something - you forget. I've been meaning to post this look since last week, and I kept forgetting about it and now I don't remember the complete list of products I used for this look. 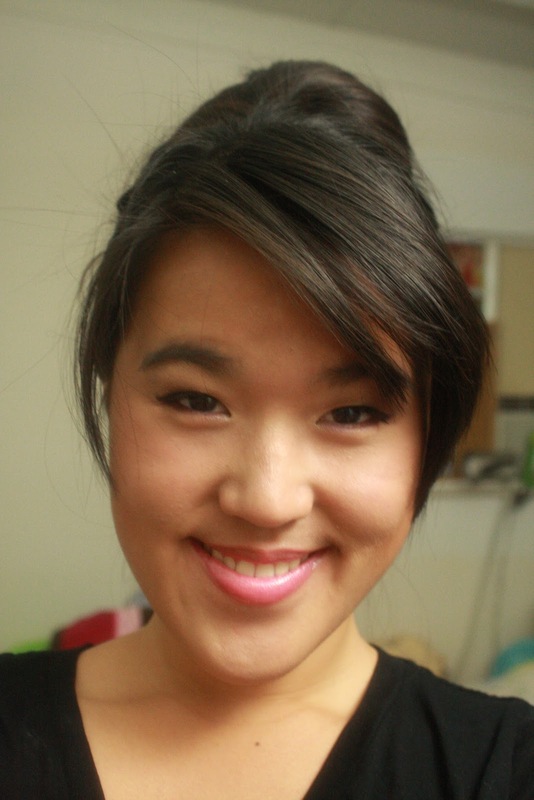 For the first time ever, I use a high-end foundation from Urban Decay called Naked. You can check out my review on the new foundation here. I love this foundation. It smoothes onto your skin and blends easily. I almost don't feel like wearing makeup when I use this. Great job, Urban Decay! If you look closely, you can see there are two tones of color on my cheeks. For all makeup newbies who are reading this, I use a bronzer for contouring my cheeks and blush to perk up my face. Contouring is using a darker shade on parts you want to 'omit' such as large forehead, chubby cheeks and/or double chin. Here, I put the darker shade using TooFaced Chocolate Soleil bronzer (my go-to contour product) on the hollow of my cheeks which is just below my cheekbones. Not only does contouring can give an illusion of a slimmer face, but it also gives dimension to your face especially when you have a photoshoot where the lights can wash out your skin tone. For the eyes, it's just my typical go-to eyeshadow shades - bronze/copper/brown/golden-y tone. I can't remember what palette I used, but you can just easily recreate this look using any neutral eyeshadow palette like Urban Decay Naked Palette. I also use falsies to complete the look. Here I use elf Studio VIP Eyelash Kit which I got on sale at Target. 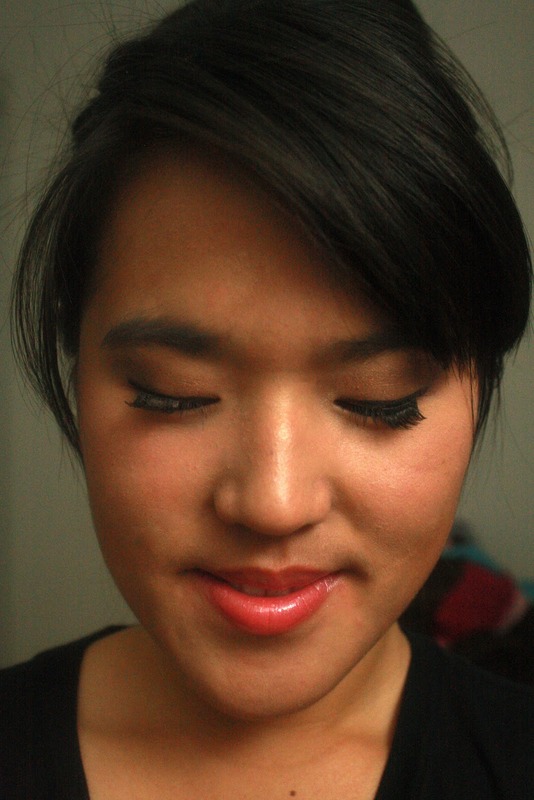 I cut one of the falsies into two parts and turned it to demi false eyelashes. Voila! 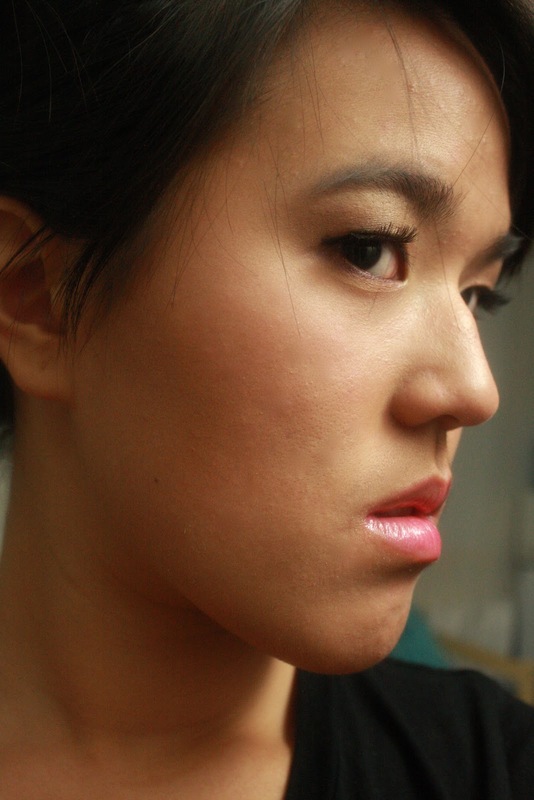 For lips, I use my new obsession, Dior Addict Ultra Gloss in Sari Pink. It is a pretty pricey product, but I got it with a discount and gift card reward. It is nice to have coupons!! I love how unsticky and long lasting the gloss is. It is just the prettiest pink shade. Now it's time for the hair. 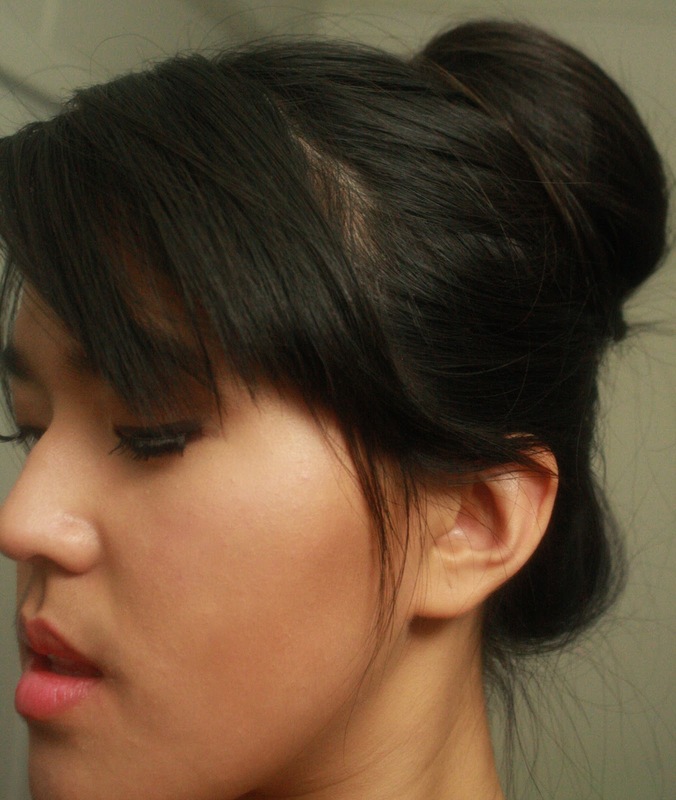 I adopted this updo from CinthiaTruong on youtube. I tried to make it a little bit more casual which is perfect for everyday wear by creating a lower ponytail than she shows on the video. Don't forget to subscribe and make my day!